The AF3P116SS is a hook for hanging framed art and posters. 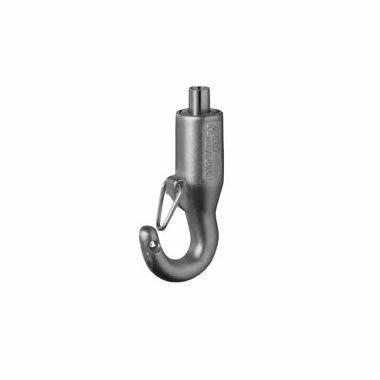 The AF3P116SS allows the cable to pass through the hook. Hide the excess cable behind the art by using the small hole in the tip of the hook; just coil the cable and insert the end through the hole. The AF3P116SS has a simple clip that acts like a latch, effectively closing the otherwise open hook. Excellent in seismically active areas. Accepts both 3/64″ Class 1 and 1/16″ Class 2 cable.